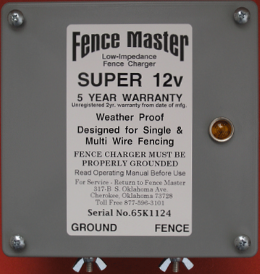 Fence Master America solar chargers are designed, tested and approved by professional cattlemen. 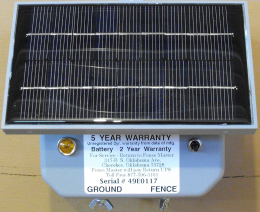 Our solar chargers are weather proof and backed by our five year warranty. 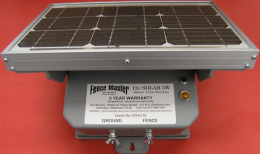 We offer 6 volt and 12 volt solar chargers - see below for all the details. 5-Year WARRANTY when registered (unregistered chargers get 2-year WARRANTY from Date of Mfg & a 2-year WARRANTY on batteries).